As part of series of Simpplr Blog posts about intranet governance, today we’re going to discuss the nuts-and-bolts of a best practice governance committee. A quick note: The governance committee should align even before the initiative begins and any technology is chosen. Too often an IT group will gather requirements, launch the software, and dump it on the business. Since intranets are built to bind disparate organizations, cohesion should be prioritized from the start. Who belongs in the governance committee? More often than not, ongoing intranet management and governance belong in the internal communications function. These roles often roll up into Marketing or PR, but have successfully aligned elsewhere (e.g. HR, or directly to the C-Suite). Since intranets historically have been highly technical and because they’re built to be used by all employees across the enterprise, intranet technology is still usually sourced by the IT department, unlike many departmental SaaS applications. In addition, IT usually holds the budget. With modern intranets that are a lot easier to configure these days, organizations no longer need to rely on IT to do everything. But they will still need to help with the initial software deployment and it’s always nice to have people around that can speak to technical feasibility. We see fewer intranets run out of HR than we did a decade ago. But since their material is so critical to intranets, (think: employee onboarding sites, benefits documents, and policies we eventually need to find) they need a seat at the table. This one is so often undervalued or overlooked we decided to write a separate post about it in the next couple weeks. WARNING: YOUR INTRANET WILL FAIL IF YOU DO NOT HAVE ACTIVE PARTICIPATION FROM THE TOP! Your CEO should be held accountable for the company culture. So a big part of their job is internal communications, promoting progress, and leading by example. Since the ultimate purpose of an intranet is to connect and align employees, management needs representation in the governance committee so they clearly understand the goals, progress, messaging, and their necessary contributions. If you absolutely can’t get the CEO, insist that they appoint their proxy. Internal Communications is a marketing activity. You’re making the intranet investment to get employees on the same page, cultivate community, and excite them about their company. It’s wise to have marketers on your intranet governance committee who understand messaging and incentives. Plus, a big part of company alignment is to intimately know the products you’re selling. If you can get this group together, you’re off to a great start. Note, you may want to bring in other functions if your industry requires it. For example, include legal/compliance in highly regulated industries where an intranet houses a lot of critical compliance details. Intranet Governance continues to be one of the primary reasons intranets fail. 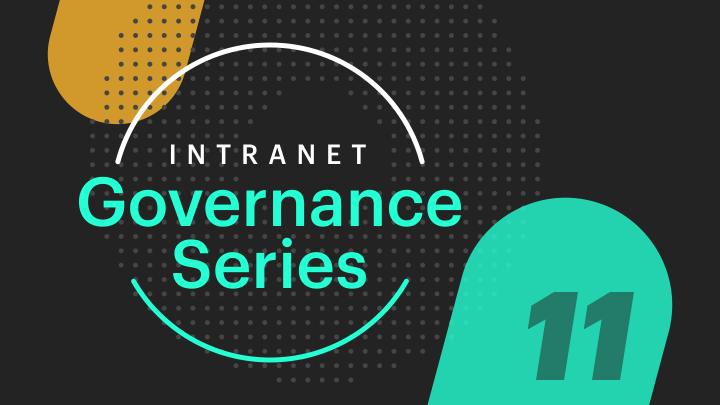 Subscribe to our blog to receive the rest of the Intranet Governance Series blog posts. 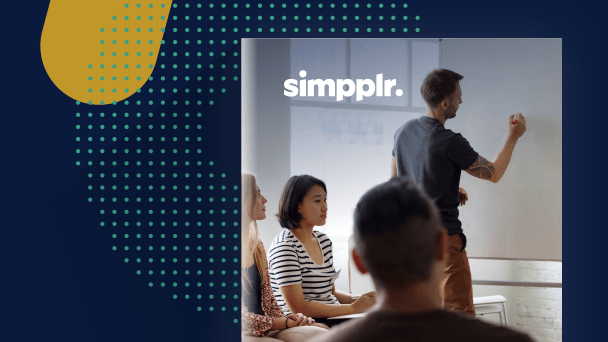 You can also download Simpplr Research’s Why Intranets Fail research study to learn what, in addition to creating a successful governance committee, intranet practitioners need to watch out for. Part 3: So you now have an intranet governance team. What do you do?